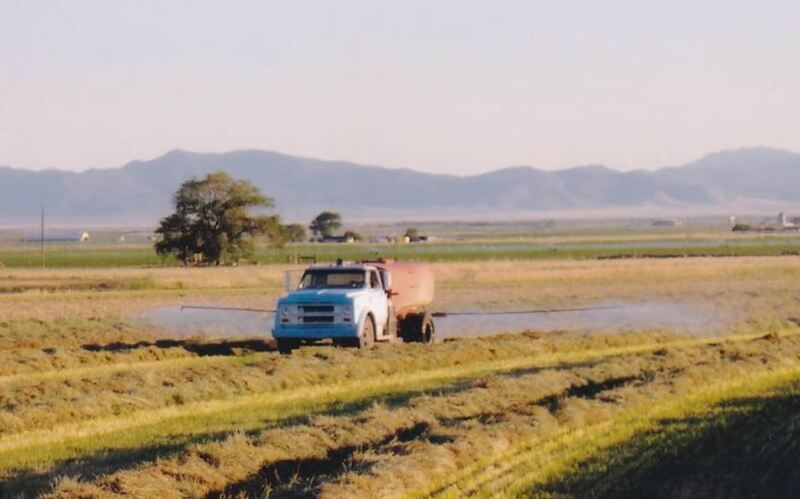 Many hay farmers don’t truly understand the challenges that farmers face in the Western U.S. and in other arid climates, because in so many other parts of the world, people have the opposite problem. They get to much dew and have a hard time getting the hay dry enough to bale quality hay. However, like the Bracken’s, farmers in drier climates around the world are struggling to get enough dew to bale quality hay. Baling hay too dry means losing more leaves and shattering the crop during baling, so it’s critical to have just the right amount of moisture on the hay. The problem is, mother nature is inconsistent and often doesn’t provide any moisture at all. The Bracken’s deal with a variety of climatic conditions. In June it is often hot, windy, and dry with temperatures of around 95-100 deg. F. In July-September they experience more of a monsoonal flow where it’s a little more humid but still very hot. Because of their climate, they had to get creative about how they made hay. They would have to bale the hay while it still had a little bit of stem moisture, because if they waited for the hay to completely cure, it was disaster. Of course, at the time they were running small balers, which can leach out moisture better than large bales. Once they moved to large balers, the risk of fire was to great to bale with stem moisture. Once again, they had to get creative. The Bracken’s were having such a hard time getting dew that Howard had to take things into his own hands. They purchased two water trucks and started spraying water on the hay prior to baling. Howard is the first to admit that it wasn’t perfect, but it was all that they had to work with. This required two extra operators and more equipment, but it was better than the alternative of bone dry hay that would surely shatter during the baling process. For years the Bracken’s continued to spray the hay with water prior to baling. They had started a trend in the valley, because other farmers soon followed and were spraying water on their hay as well. It was the summer of 2013 that farming in Enterprise would forever be changed. Now, Staheli West not only enjoys their relationship with the Bracken’s but many of the other farmers in the Enterprise valley who have now adopted the DewPoint technology.